In stock -This product will ship today if ordered within the next 10 hours and 17 minutes. This grapefruit scent concentrated Washing Up Liquid is just the ticket to enliven the senses and makes tackling that stack of dirty dishes that little bit easier. It’s incredibly tough on burnt-on stains yet is 100% hypoallergenic, so suitable for even the most sensitive skin. Always keep cleaning products away from children. 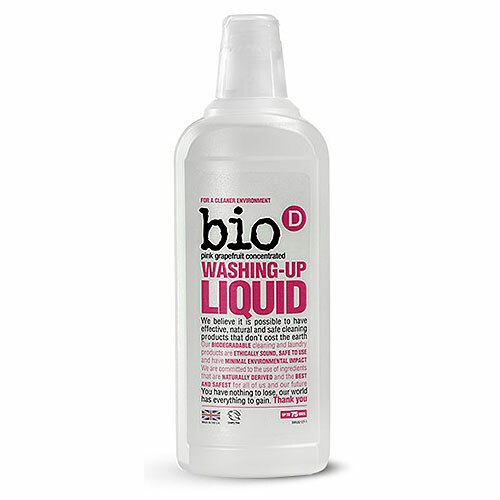 Below are reviews of Bio D Washing Up Liquid with Pink Grapefruit - 750ml by bodykind customers. If you have tried this product we'd love to hear what you think so please leave a review. Very effective and a little goes a long way. Smells gorgeous and doesn't dry out my hands like standard washing up liquids do. Highly recommend. Excellent quality. A little goes a long way. Cleans well, smell gorgeous and is kind to your body. Smells great for me it's the best one. 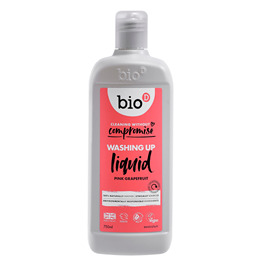 This grapefruit scent concentrated washing up liquid makes tackling that stack of dirty dishes that little bit easier. It’s incredibly tough on burnt-on stains yet is 100% hypoallergenic, so suitable for even the most sensitive skin.